Foundations are the base of support for an entire structure. Societies, cultures, cities and homes are all built on foundations. Few people look closely at them until they get a few cracks. Foundation movement can be one of the most serious challenges you will address when negotiating the sell or purchase of a residential home. This article will not teach you all that is necessary to determine which homes have problems, and which don't. Years and years of knowledge and experience by engineers go into each evaluation that is necessary to make that determination. You can be aware and informed about many of the causes and symptoms of foundation problems, so you are prepared for the questions and challenges that will come your way. Foundations are built on rock and soil. 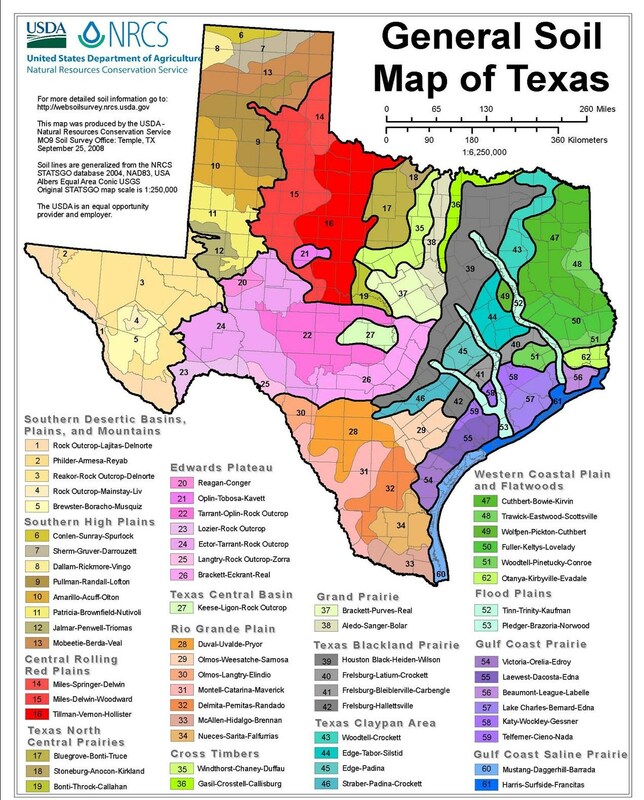 Geological conditions vary widely around the state of Texas, so there is no way all the peculiarities of some regions could be addressed here. Talk with Home Inspectors and Engineers in your area to get the low down about problem areas and conditions that can lead to expensive repairs. Soil conditions, faults, drainage and sub surface water sources are unique for each area. What may be a problem for one area is not even a consideration for another. Some times these different areas can be across the street from each other. 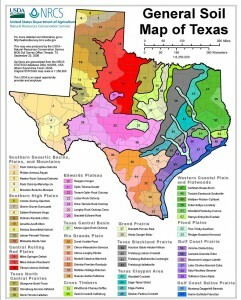 Above is a map of Texas that shows a band of expansionistic clay soils. In this band of soil is a mineral call Montmorilionite. This mineral can exist up to 3-5% by soil content in some areas. San Antonio, Austin, Waco Dallas – Fort Worth are all built on or near this band of soil. The clay mineral in the soil has a tremendous ability to absorb water, as it does it starts to swell. The mineral can swell up to forty times it's own size. Conversely, as the mineral dries out, it shrinks. But which cracks are serious and which are not? By analyzing stress and displacement, engineers determine a foundations stability. You as Realtors, Buyers or Sellers may be limited to noting symptoms such as sheet rock separation, doors binding, and internal condensation in thermal pane windows for interior clues to foundation movement. Exterior symptoms could include brick and mortar separation, rotation of exterior walls and drainage problems. Clues such as these can help indicate stress points and direction of movement of the structure. If any one of these symptoms is very severe or several of these conditions exist in the same structure, then consider advising your client to have the structure further evaluated by an inspector or engineer. A Closer Look Inspection Service can perform an Elevational Survey to quantify the current elevations of different rooms and areas of the house for an additional fee. This survey can establish a benchmark to determine future foundation movement or as a comparative tool to use in evaluating prior movement based on a previous Elevational Survey. Ask about this important service at the initial contact call or during your ACL Structural / Mechanical Home Inspection.